Sports has been commonly mistaken as to be associated for just health or survival benefits, and also as a form of distraction to most who prize practicality. Sports should rather, be tied closely to many domains of life that are beyond its commonly perceived value for sports itself, and to other life values. In fact, sports can be a means to cultivate values of respect, discipline and teamwork. If so argued, values development is also commonly associated with the competitive sporting arena, except that there lacks in study of values development through unorganized sports activities. The generally undermined benefits of sports further highlight the need for this study to showcase the importance of sports in character development, especially with the dwindling participation in sporting activities in Singapore. This design study seeks to explore and visualize how can unorganized sports activities be of benefit as a source of value creation to each Singaporean individual, by highlighting the potential importance of learning through sports by reflective observation, photo documentation of the activities of recreational sports in the Singapore landscape and interviews with the participants. 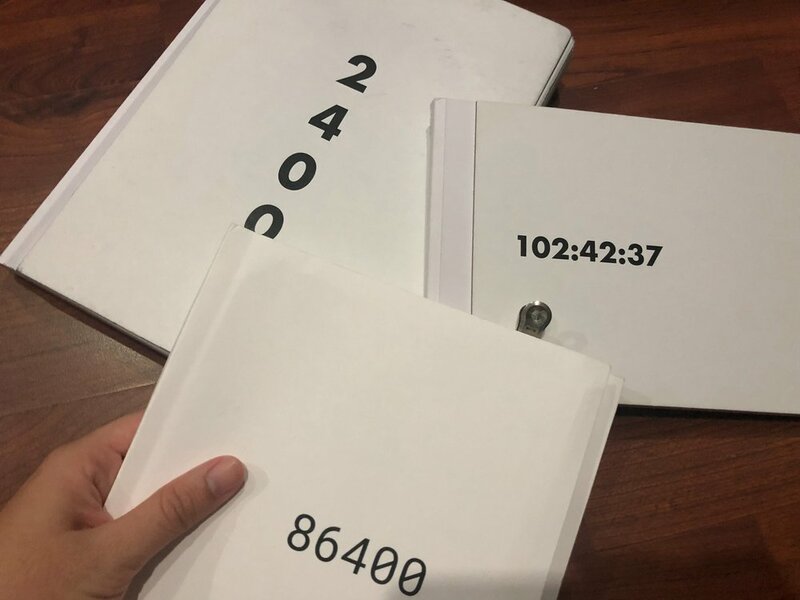 As with the 24 hours of the day, 2400 aims to speak of the message that it is possible for one to participate in sports at any time of the day. Recreational sports are photographed and documented at various times of the day in Singapore. 2400, also known as the title of this project, is the main publication of the project. 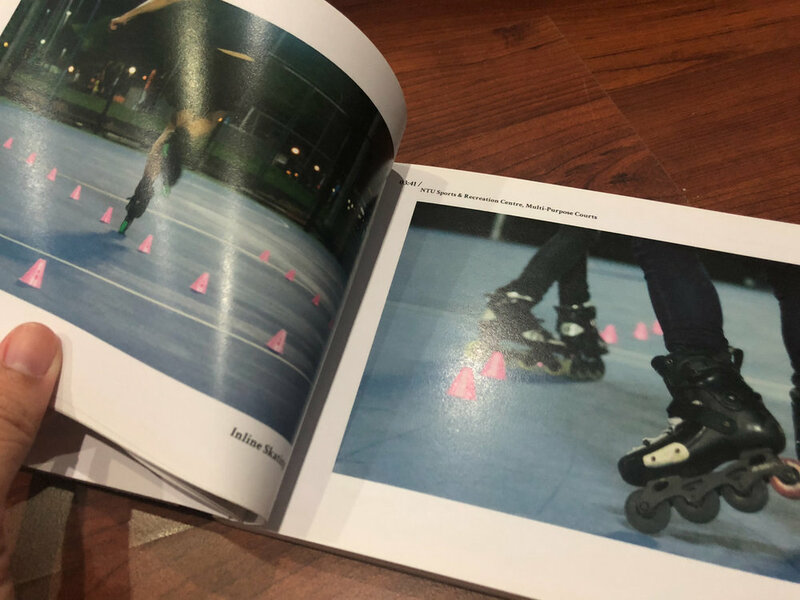 The contents of the book consist of the values, quotes, a short description of the sport and photos that tells a narrative story of these 24 groups of people playing recreational sports. Pieced together with a diptych image and the lines representative of the sport, the first spread of each sport showcases the dynamism of the sport itself, despite it being in recreational play. The next spread shows the values learn, alongside the quote taken from the conversational interview I had with the group of participants. On the last page of the spread, a Chinese calendar style insert has 5 images that is included to further explain the sport itself, the key learning values to bring the entire narrative of values learning together. The time where the activity is being play at is also included on the front page with the location and names of participants. There are a total of 24 sports namely: Badminton, Netball, Basketball, Squash, Muay Thai, Running, Softball, Soccer, Ice Skating, Volleyball, Touch Rugby, Cricket, Unicycle Hockey, Tennis, Bowling, Golf, Swimming, Inline Skating, Lacrosse, Gymming, Climbing, Cycling, Dancing, Sailing. 102:42:37 is the second publication that follows alongside 2400. It is named after the total time taken for me to photograph, edit and travel from one place to another, the entire 24 sports documented in this project. As I have documented 24 sports and the number of photos I have taken is far too many to be summarised within the first book, 102:42:37 seeks to compile the rest of the remaining images that are able to tell another side of the story in this entire documentation. 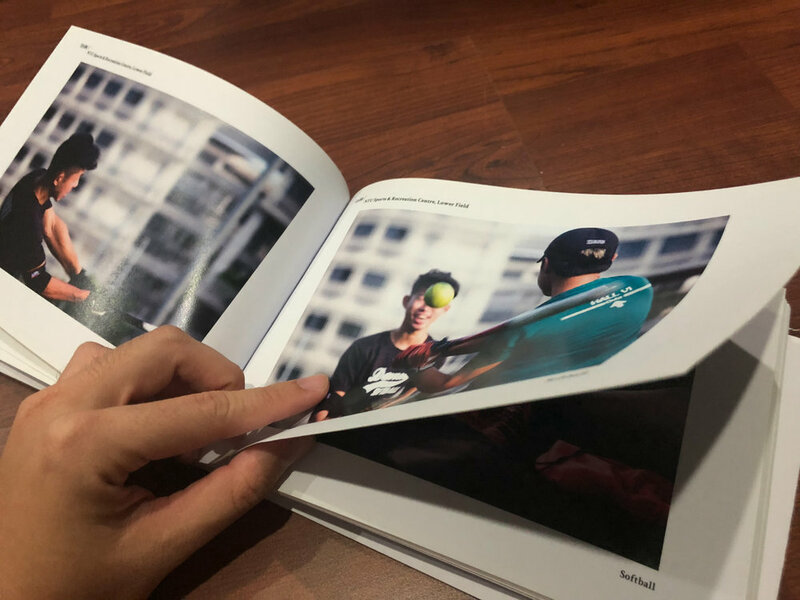 A compilation photobook of the 24 sports photographed, included are outtakes, candid photos that are more casual; in spirit snippets that are more casual. 102:42:37 hopes to capture the other unseen moments in recreational activity: the emotions, interaction and off-camera action. 86400 is the total number of seconds in a day, and representative of the number of thoughts I have throughout the day as it only takes a second to have a thought. 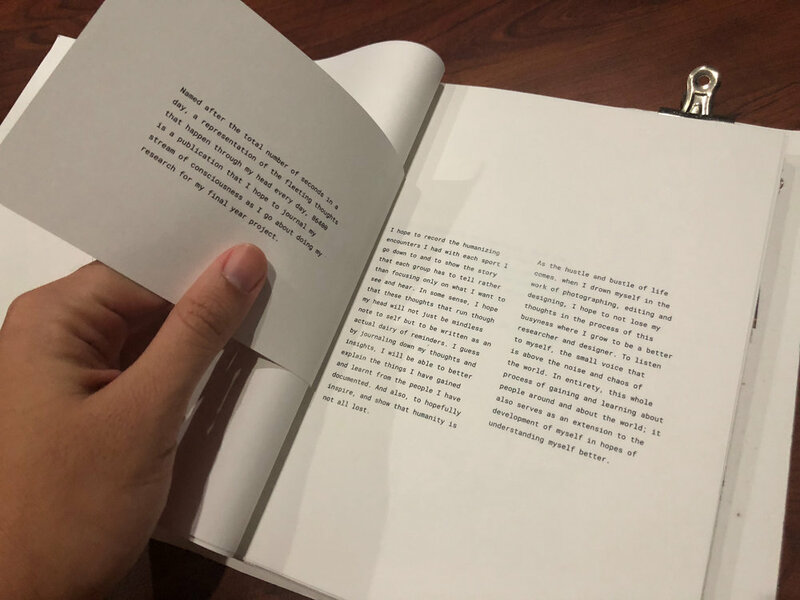 I am constantly reflecting, and thinking about the experiences and hence ‘86400’ is a journal with entries of my experiences I had with the 24 groups of people in my photographic documentation of the participants. It was a humbling experience that I wish to record. 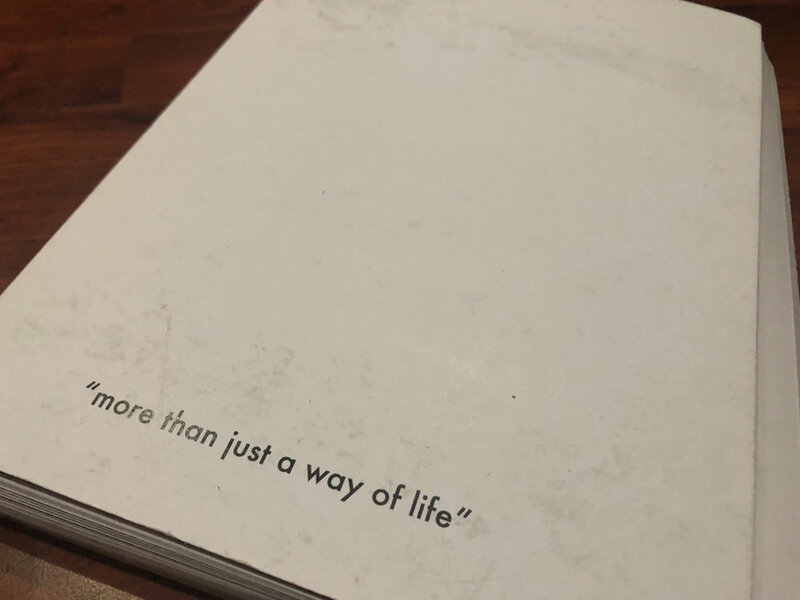 It is a publication that I hope to journal down my stream of consciousness down as I go about doing my research and photographing for my Final Year Project. 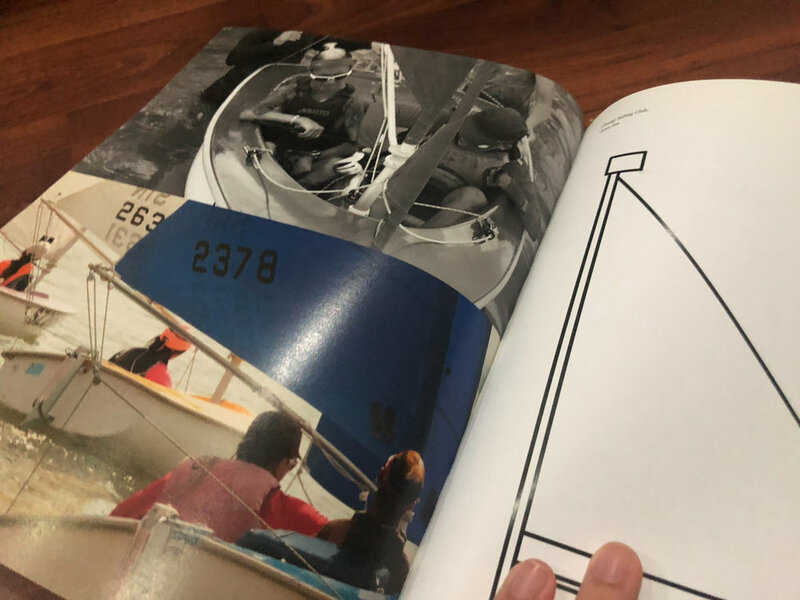 It also shows some behind the scenes photos of my journey as I learn about the new sports I documented and also the humanising encounters I had with the varying groups of people. The participants who involved in this project are from friends, relatives and strangers from all around Singapore. All photographs are taken with permission from the participants that are at the present location of the following 24 sports: Bowling, Squash, Gymming, Dance, Roller Skating, Cycling, Running, Tennis, Netball, Sailing, Swimming, Softball, Badminton, Golf, Volleyball, Cricket, Climbing, Soccer, Basketball, Lacrosse, Touch Rugby, Muay Thai, Unicycle Hockey, Ice Skating. 2400 is a research and photographic Final Year Project taken in Nanyang Technological University, School of Art, Design and Media with Jesvin Yeo.